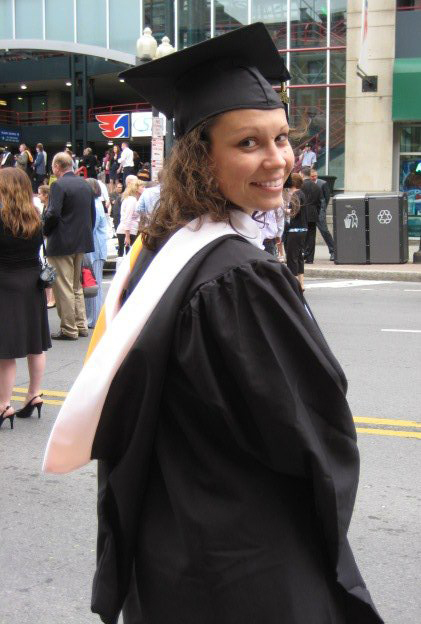 Me, awkwardly posing in graduation attire, in 2011. Also, hood is wrong. It should be folded out.